The best online collaboration apps for small businesses and remote teams of 2019. Finding the right ingredients for making your team perform optimally isn’t always about finding the smartest people. It is equally important to make them collaborate with each other at every step in the process. This is where online collaboration tools play a vital role in bringing the team together where they can interact, plan and execute to accomplish common goals. Effective teamwork and collaboration go together when we talk about team productivity. We’ve seen email has remained the number one channel for online collaboration for businesses for more than a decade. However, the tide has recently shifted, especially now that companies have realized how unproductive emails can be. According to Forbes, you waste about 2.5 hours every single day checking and responding to emails. And so, the demand for online communication and collaboration tools has taken off and we find ourselves in an evolution for the need of instant online team collaboration tools. It’s understood, with the right technology and toolset business can improve their productivity and make employees more efficient. Why Use Team Collaboration Tools? Here are a few reasons why it makes sense for you to opt for a collaboration tool for your business. One of the biggest benefits of using online collaboration tool is that it allows everyone the flexibility to work from the comfort of their homes. It not only helps uplift their morale but also allows them to work when they are at their productive best. Collaboration tools encourage a more casual approach when it comes to communication. You no longer have to write the same pleasantries all over again every single time as you can just get to the point directly. How many times has that happened that you received five different versions of the same file which later caused confusion on which one did you really needed? Collaboration tools allow you to share files and documents seamlessly which can later be filtered or sorted easily. Can’t figure out who’s doing what? This can often be the case when you’re managing a huge team and it sometimes becomes impractical to keep track of all the updates in real time. Collaboration tools now a days come with built-in and integrated task management tools which let you to track, monitor and stay up to date with project’s and team’s progress in real time. You can simply avoid unproductive meetings by just collaborating with team members using the software. 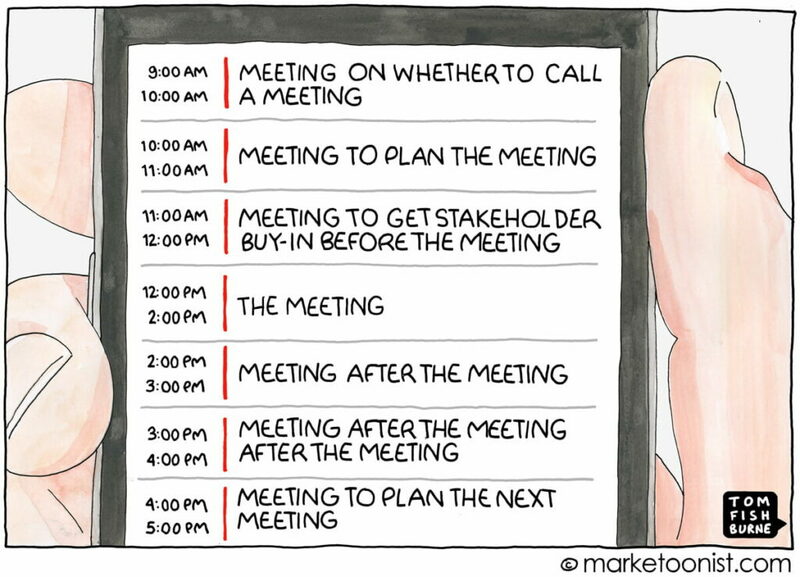 23% workers feel that meetings are a complete waste of time and should be avoided. Alternatively, you can use a meeting management software to optimize and make them more productive. Let’s dive in to our list of best free online collaboration tools that can help you to be more productive at work this year. Slack needs no introduction and is one of the most widely used collaboration software in the market. An ideal tool for internal business communication as it allows you to create different channels and lets you add unlimited team members to it. Depending on your team size and business, you can create a channel each for one department e.g Sales, Marketing, DevOps, Support and more. You can also group chat within the channel or collaborate with a team member directly using the direct message (DM). Slack also supports voice and video calling just in case you do not feel like typing anymore. Available for Web, Windows, Mac, Android, iOS and Windows Phone. Slack comes with a free plan which is good for small teams. With the free version you can search up to 10k messages, integrate up to 10 third-party applications and also make 1-1 video calls. Standard and Plus plans for Slack start from $6.67/user/month and $12.50/user/month respectively when paid annually. You can learn more about Slack pricing plans here. Looking for other Slack-like applications? Here’s a list of top free Slack alternatives. Known for video conferencing and live chat, Skype is another great tool for online collaboration. If you are one of those organization which relies heavily on voice and video interaction along with real-time chat, Skype will do the job for you. The look and feel are quite similar to some of the social media chat applications available in the market which not only makes the communication user-friendly but also keeps everyone in the team engaged. Available for Web, Windows/Mac, Android, iOS and Windows Phone. Skype is a free online chat and video conferencing software. Skype for business which costs $2/user/month comes with additional handy features like up to 250 online meeting members, enterprise-grade security and employee account management. Another Slack-like communication platform for businesses with an easy to use interface and built-in productivity tools. Flock is gaining popularity due to its simplicity and user friendliness. Other collaboration features include polls, note-taking and workflow automation. Not forgetting, Flock brings built-in task management which lets you create tasks for your conversations with a single click. Available for Window, Mac, Linux, Android and iOS. Flock is a free online collaboration tool with basic functionality. Flock pro plan costs $4.50/user/month when billed annually. Learn more about Flock pricing here. Imagine Facebook restricted to your co-workers and bosses only. It is a central hub for all your communication within a workplace. Rather than being a department specific or team specific tool, Workplace aims to bring everyone together. Just like Facebook, you can chat, create groups, schedule events or simply go live or record a video for anyone to watch later. Available for Web, Windows/Mac, Android and iOS. Workplace by Facebook has both free and paid versions. The premium version costs $3/user/month and includes advanced enterprise features like pre-built integrations, custom APIs, monitoring tools, SSO and more. A more social-style collaboration tool to keep your team engaged and productive at the same time. Convo brings the activity stream to traditional one-to-one and one-to-many communication. With newsfeed, you can stay updated with all the latest activity from different teams in your organization making it mighty effective for cross-functional collaboration. Available for Web, Windows, Android and iOS. Convo is free up to 5 team members which works well for smaller teams. Convo Pro costs $9/user/month with greater functionality. Learn more about Convo pricing here. What online collaboration tools do you in your workplace? Are there any other tools you’d like us to include in the list? Share your thoughts in the comments below. Really a great collection and great information I have read. Thanks a lot for sharing the information and keep on updating so that people like me will find it very useful. Thanks for sharing!! Very much helpful information provided here. I have one more collaboration tool: GoToMeeting, it is simple and widely used tool. Thank you for the suggestion. I’ll cover GoToMeeting soon in one of my earlier roundup for top meeting management software. Thanks for the inspiration! There’s another good collaboration tool that has a free option: Kanban Tool. It’s easy to use and effective, I like it a lot.